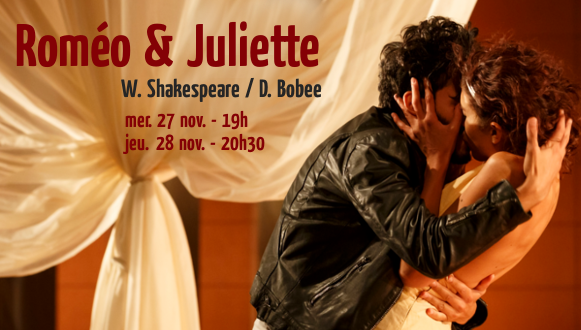 Romeo and Juliet, that great romantic myth, a tragic love story against the backdrop of intolerance, eternal damnation. Shakespeare wrote his tragedy drama for the suburbs of Verona, David Bobee creates a Romeo an Juliet in coppery color, orange lights, urban spaces, guerrilla territories … with dancers and acrobats expressing confrontations, friendship and struggle. A modern story which paints today, yesterday and probably, alas, tomorrow. A feverish romance that mixes dance, circus and theatre!